You are here: Home / Bath / An embarrassing “before”…. Here is a glimpse of the beginnings of our bathroom remodel, before pictures can be so embarrassing. So in the name of the blog, I will lose all of my dignity today and share pictures of a room that stays behind lock-and-key when company comes over. (Update! 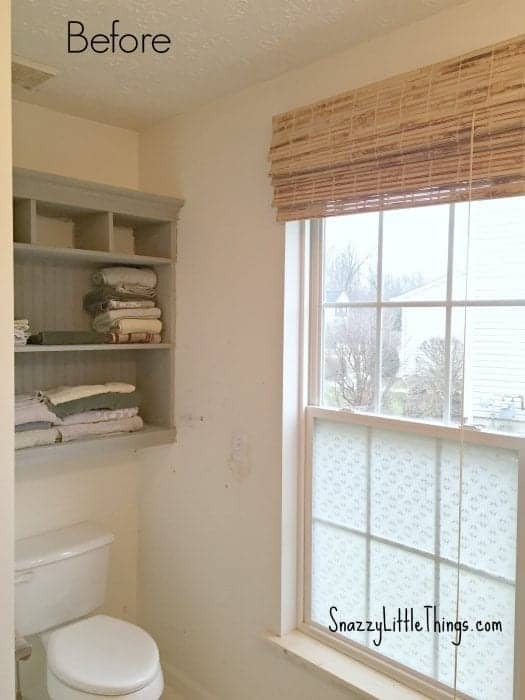 see all the updated “after” photos and all the master bath projects here). We all have rooms like this, right? We never kept the shades up for the sake of privacy. 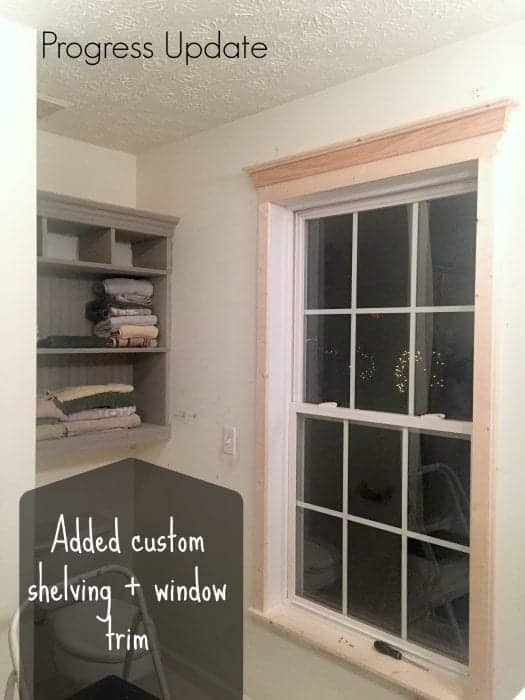 We removed the prior window sill and added our own custom molding. The wind whips between ours and the neighbor’s house during every storm. During one particularly bad storm, the siding blew off the south side of our house (a lot of neighbors had the same problem). Once the siding was replaced, we still had minor, but annoying water seepage issue (as evidenced around the light switch). It was doing enough damage that it was pointless to fix the wall until we could find the source of the leak. I had to call engineers to trace the leak (we called the builder, too, which was no help). Finally they found the source–and now we can move on and upgrade this space. We did some patching and we are deciding on a paint color, and settling on a design style + all the architectural embellishments that we want to add to the space (more pictures to come). We waffle between matching “glam” aesthetic in the adjacent rooms, or just going completely off the rails and doing something different. Spare our neighbors from seeing us on the “throne”. 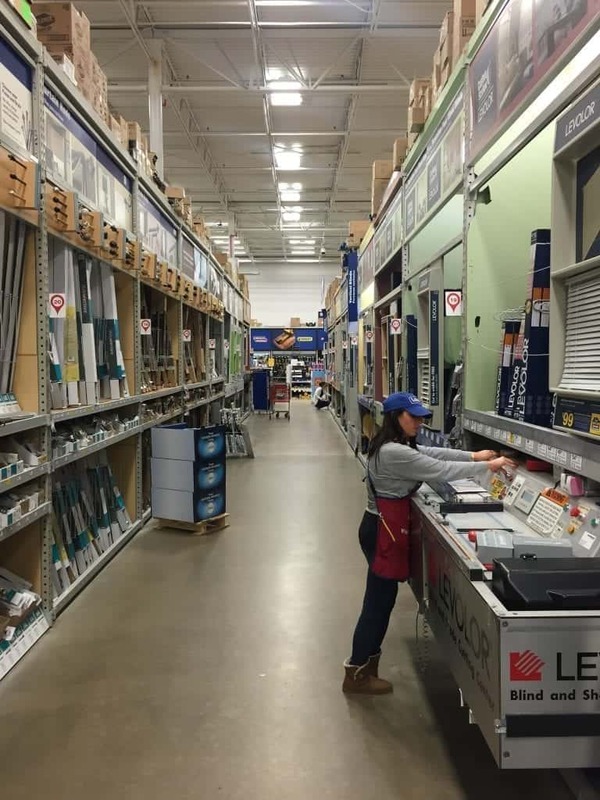 Off to Lowe’s we went directly to the blinds an shades aisle. This qualifies as an emergency DIY, doesn’t it? 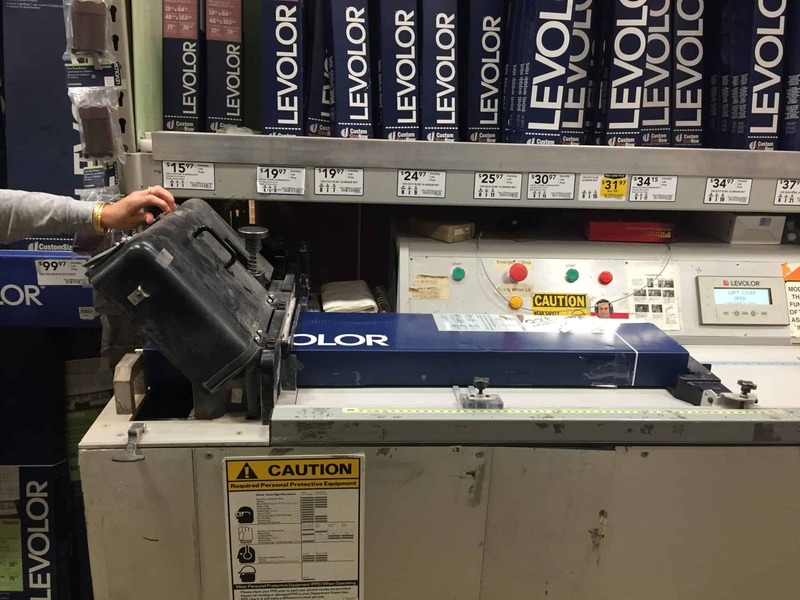 Before shopping, I checked out Levolor® online who provides and inspiration gallery. So going in, I knew what I was doing…and was on a mission. Below is my partner in crime who thought it was hysterical that the whole world could (temporarily) see inside the little girls room. 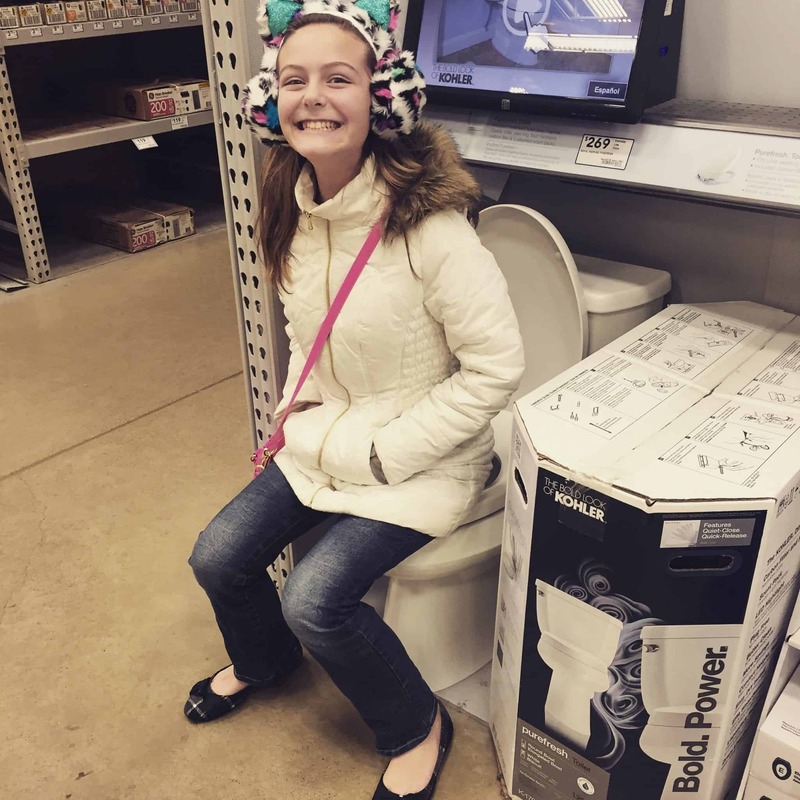 I assured her that we were using the other bathrooms in the house until this problem was solved. 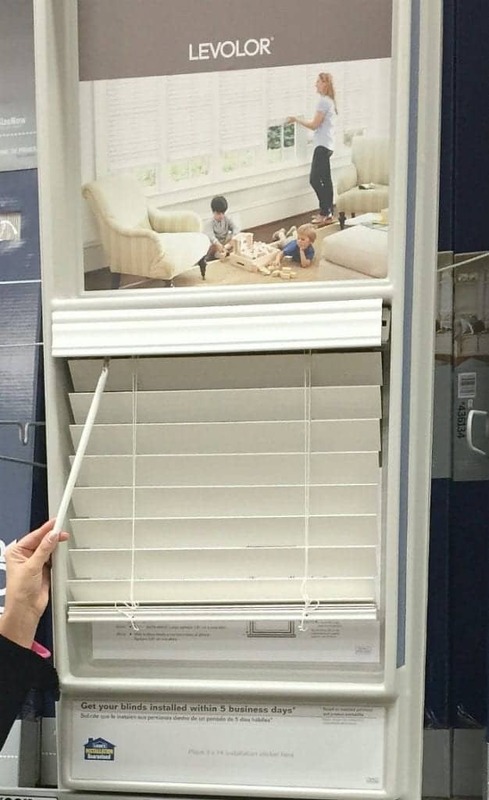 We narrowed down our selection…I wanted white, cordless blinds, instead of the old, clunky shades I once had. A little light in the room will be nice. 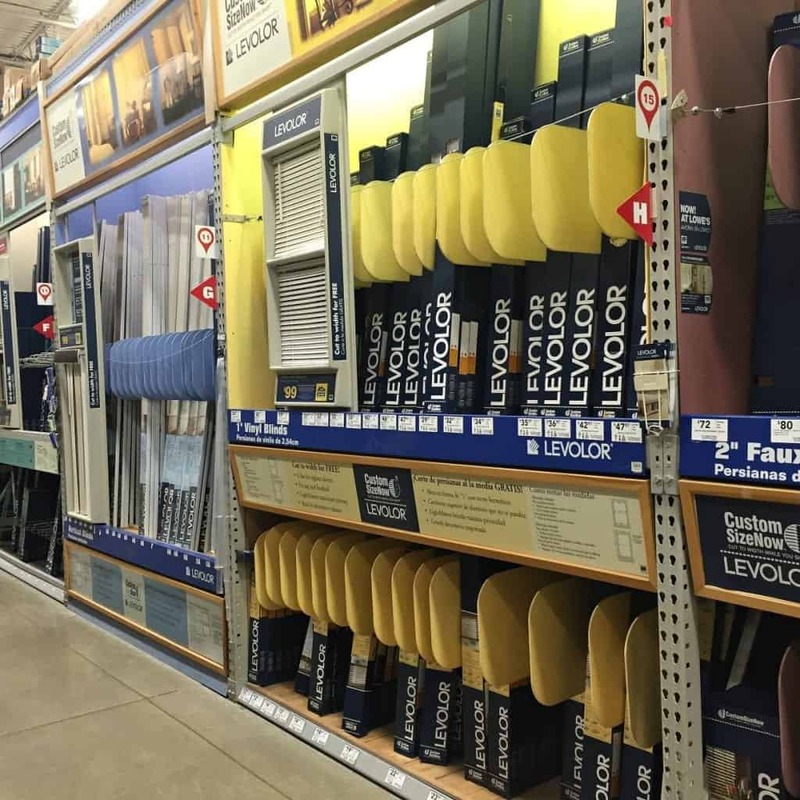 I’m an impatient DIYer (as many of you know) and what’s cool about Levolor® is that they can cut the blinds and shades right in the store. 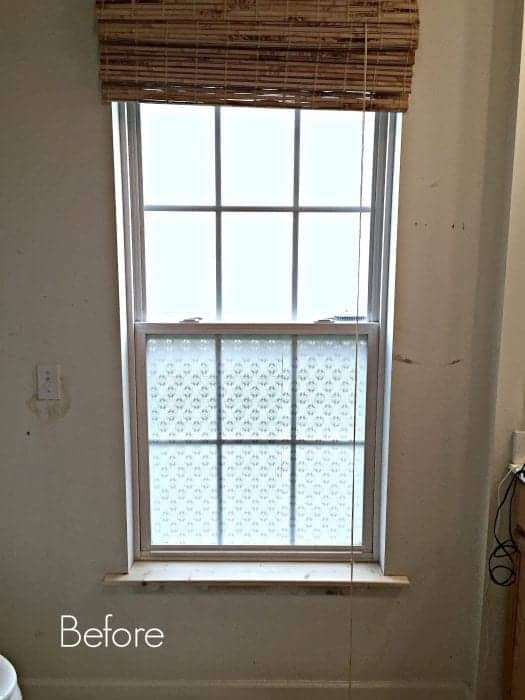 I chose the Premium Faux Wood CordlessBlinds. Nice, bright, clean-looking, warp-resistant. And cordless…which is soooo 21st century. You can just push the bottom blind upwards to raise it. 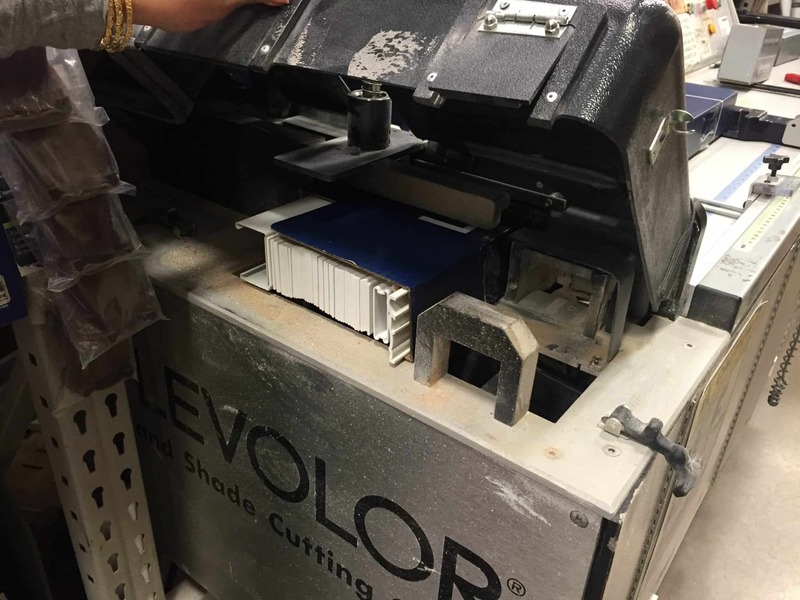 Custom Size Now blinds and shades are cut on Levolor® exclusive blind cutting machines. 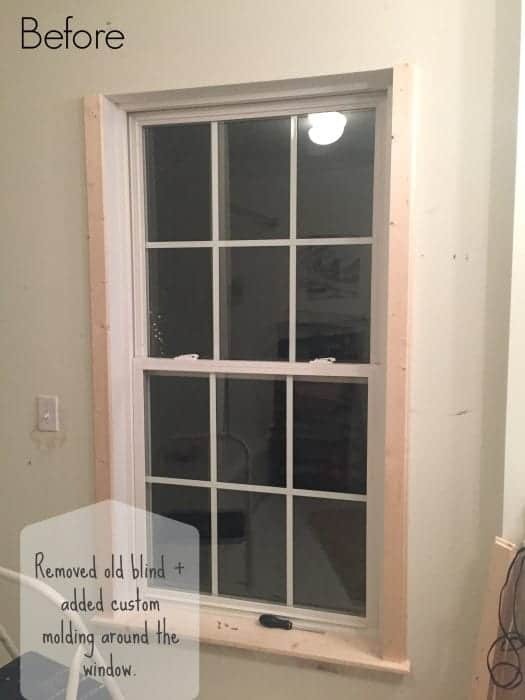 This allows impatient DIYers (like me) to get a custom-cut blind in up to 5 minutes. Then I could take them home same day. 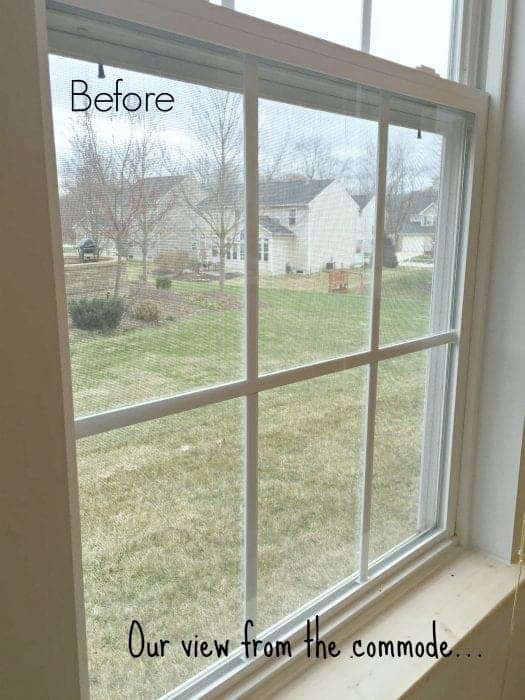 Custom Size Now blinds and shades can only be found only at Lowe’s and can be taken home right after cutting. If you need to shorten the length, you can DIY this yourself. (As seen in this video). I love this style because it looks exactly like real wood, but the faux wood finish makes them more affordable for budget DIY projects. And it’s perfect in high in humidity spaces (like our bathroom) since they are warp-resistant. 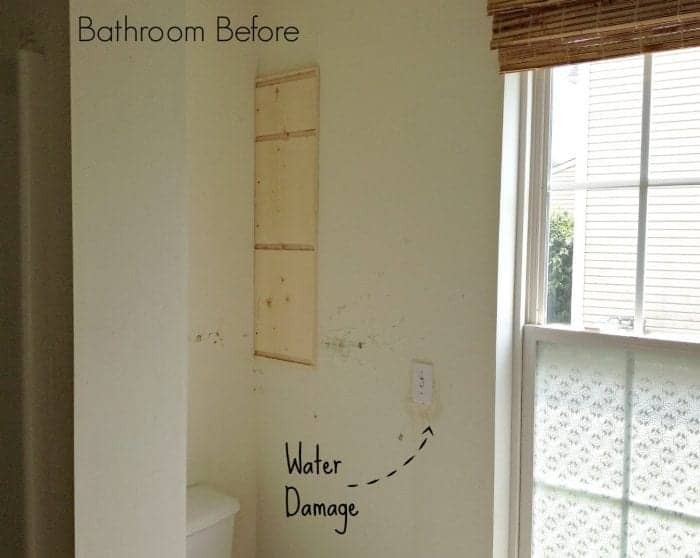 Stay tuned…to witness part II of our bathroom remodel project! Next we are choosing paint colors, improving storage and working on DIY light fixtures. Be sure to follow along and subscribe to my blog to see what becomes of this space. Once again, here are all the tutorials that make up this room refresh. This post is sponsored by Levolor®. All opinions expressed are my own. I can’t wait to see the blind up and the remodeled space. Won’t it be nice to have a blind up and privacy in the most important room! Oh my goodness, you are too funny. Is the cutting machine loud? I’ve had lumber cut at Lowe’s before and have always had to walk away because the noise is nauseating. I’d really like to watch blinds be cut though. It looks like the bathroom is going to be really beautiful and I can’t wait to see it finished! I’m working on a (very) neglected room in our home as we speak – a small upstair bedroom that has never had a true purpose. After ten years, it’s finally getting a much needed update. We have wood Levolors all throughout our home. They’re 25 years old and still holding up like a champ. Love them! This is definitely a DIY emergency … ha ha! I can’t wait to see how your room turns out! I agree… definitely a DIY emergency! Your partner in crime is such a cutie! Glad you were able to save yourself from the “emergency”! Fully understand the need, in fact I was there just a little while ago. Can’t wait to see the final result. Thanks so my Lala for stopping by! Thanks so much Lauren, I’m so happy to have found yours too, I can see our styles blend very well. 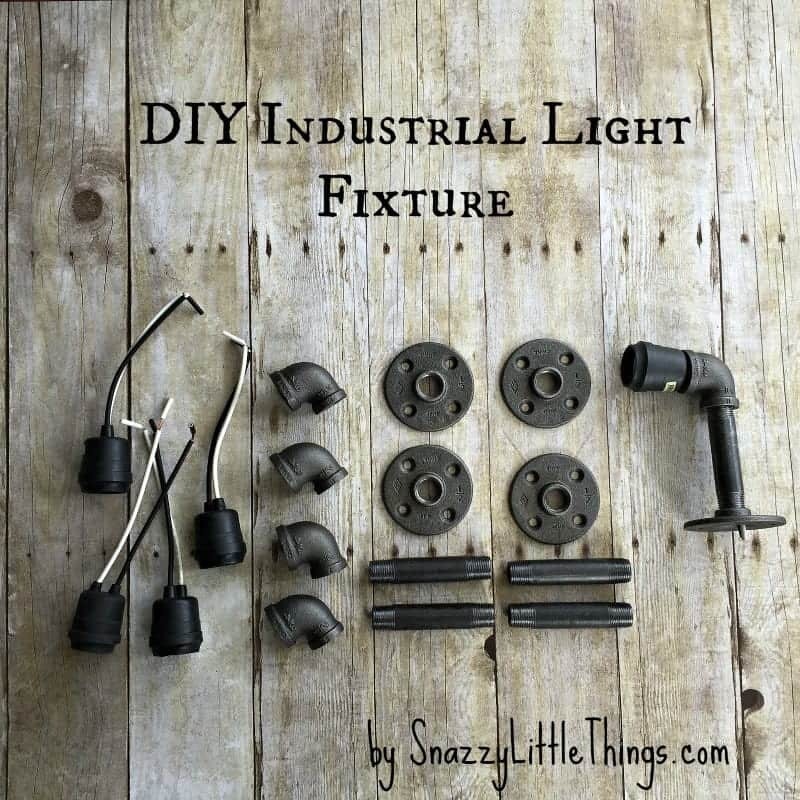 I’m so impressed by your projects, love all of your industrial elements! Thanks for stopping by!